Curriculum vitae, or often referred to as CV and also interviews, must be familiar to job seekers. Two of these are very important, like drinking tea is incomplete if you don’t use sugar. Life’s history is a picture of your identity during your life. While interviews are a way of verifying whether the curriculum vitae we have made is correct or just made up. However, the knowledge of these two things still seems strange to some people, especially to students (i). We taught the knowledge of how to make a curriculum vitae and how to do good and correct interviews through sharing held by RR Banjarmasin. 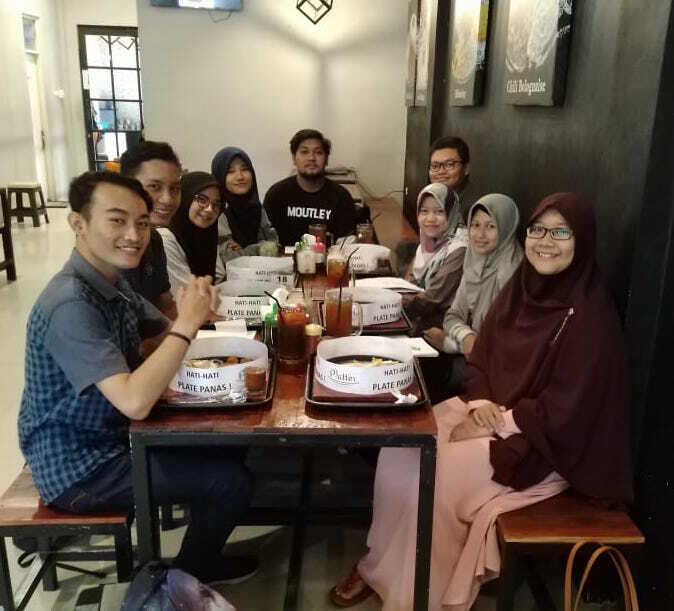 The activity was held on Saturday, 12/15/2018 at Platter Banjarmasin. The source who presented the material was Rizky Amelia, S. Pd, M.Pd. In addition to members from RR Banjarmasin, there were also students and students from the University of Lambung Mangkurat Banjarmasin. This was aimed at making students and students know in advance about how to make a good and correct curriculum vitae. The activity begins with lunch together. After that, sharing about the introduction of VDMI, VDMI scholarships, how to make a good and correct curriculum vitae. Hopefully sharing like this can be continued by RR Banjarmasin.